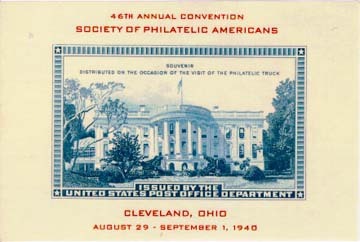 Northwest Philatelic Library, Inc. is registered in Oregon as a public benefit, nonprofit corporation and an authorized tax-exempt, nonprofit organization under Section 501(c)(3) of the Internal Revenue Code. 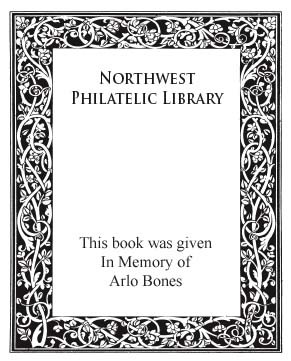 Any contributions to Northwest Philatelic Library, Inc. may be deductible as charitable contributions on the donor’s federal income tax return. Northwest Philatelic Library welcomes contributions of philatelic literature and other philatelic materials as well as financial gifts. We continue to build the Library collection and to make it available and useful to a wide variety of users; however, the cost of doing so remains a constant challenge. Most of the expense of running the Library and the purchase of books and subscriptions has come from outside sources. NPL membership dues are nominal and do not support the level of what is needed. NPL has a wonderful library which can enrich your collecting experience. Your donation can help us improve a strong and user-friendly service offering to the community by offsetting the expense of providing these services. Anything you give has an impact. Keep this in mind: Individuals provide 75 percent of all money that tax-exempt groups receive. Outright gifts of cash are managed through the annual budget, principally to acquire philatelic literature - books and periodicals. Cash gifts restricted as to use are directed to the intended purpose. Books that fill a specific need are placed directly into the collection. Books not needed in the collection are sold or auctioned in various venues or used for other purposes [e.g., Youth Stamp Collectors]. Donations of philatelic periodicals are handled in much the same way. If the particular journal is not presently in the collection and if there is a considerably long run of the journal [10-20 years], it is entered into the collection. Likewise, those donated journals that fill a hole in our present holdings of that journal are added to the collection. Not surprisingly, common donations to NPL are collections of stamps and postal history. With our focus on literature, NPL does not retain a permanent collection of these items, but they are welcome contributions. Items of significant value are consigned directly to an auction house. Other related donations are:  consigned to local auctions,  donated to Youth Stamp Collectors (as are all stamp supplies, typically albums),  used in preparing the free “NPL kids’ packets” for distribution at stamp shows, or  used in NPL-sponsored kiloware nights. Common U.S. mint stamps are kept or sold for postage. Why should you donate to NPL? What can you do? First, talk with us. If you are interested in making a donation, we can tell you our areas of greatest need and how you can best help. We can also advise you on ways to leave a lasting imprint on the Library, such as a bequest in your will.